5.4 miles out and back only partly up this obscure (for now) mountain south of San Jose. Exceptional views of the surrounding hills and up to the sugar cube top of Mount Umunhum. Turns out I really needed another whole month of May for this project, but there wasn't one to be had, so here we are, hiking in the summer heat. Look for the shade, get an early start, and bring lots of water. A must in spring or late winter -- loads of wildflowers and clear skies. The trailhead parking lot is small, so if it's full, park in the Alamaden Quicksilver lot just across from the Mount Unumhum Road junction. 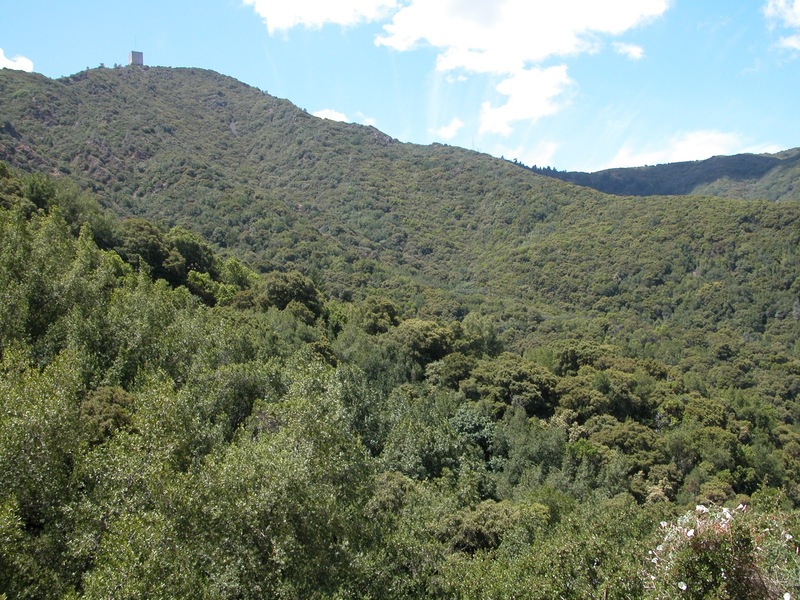 Sierra Azul is hike number 52 in 60 Hikes in 60 Miles: San Francisco (third edition). Read about this hike on BAHiker. Another Sonoma coast hike -- I can't help myself -- this one is just a bit south of the Russian River. The 3.3 mile out and back on Kortum Trail is breathtaking in summer fog, and perfectly delightful on a sunny day too. "Radar Tower".....not 'sugar cube'. www.UmunhumConservancy.org and www.AlmadenAFS.org for more details.